Solar Vision Inc. is Colorado's only 3M Platinum Home Window Tinting Company. We offer Solar, Decorative, Safety, and Insulating 3M Window Films. Solar Vision Inc. is Colorado's only 3M Platinum Dealer! Call now 303-862-6376 to schedule your estimate. Why wait? 3M Night Vision 25 applied to Commerce City, CO residence. Call 303-862-6376 to schedule your estimate! You should call solar vision if you are experiencing any of the below problems! Certain rooms in your house are uncomfortably hot, even during the winter! Your home suffers from temperature imbalances, hot in one room, freezing in another. Your AC runs all day in the summer. Your expensive drapes, or blinds are already fading. You just added new hardwood floors to your home and are worried about damage and fading. The glare in your TV room or office is so bad you can't see the screen. You want to protect yourself and your family from harmful UV Rays. You LOVE your views and want to keep the blinds up, not have them closed all day to protect yourself from the sun! You have options when purchasing window film for your home, so why choose Solar Vision Inc.? We are the only 3M Platinum Dealer in the state of Colorado. We only offer 3M Window Film products, and offer the best warranty in the industry. Our Installers are part of the team, we will not send a Sub Contractor to your residence to install your window film. As a local company in business since 2004, you can count on us to take pride in our work, and ensure your installation is done to professional standards by Professional Window Film Installers. We're a member of the Better Business Bureau, International Window Film Association, and part of the 3M Prestige Dealer Network. 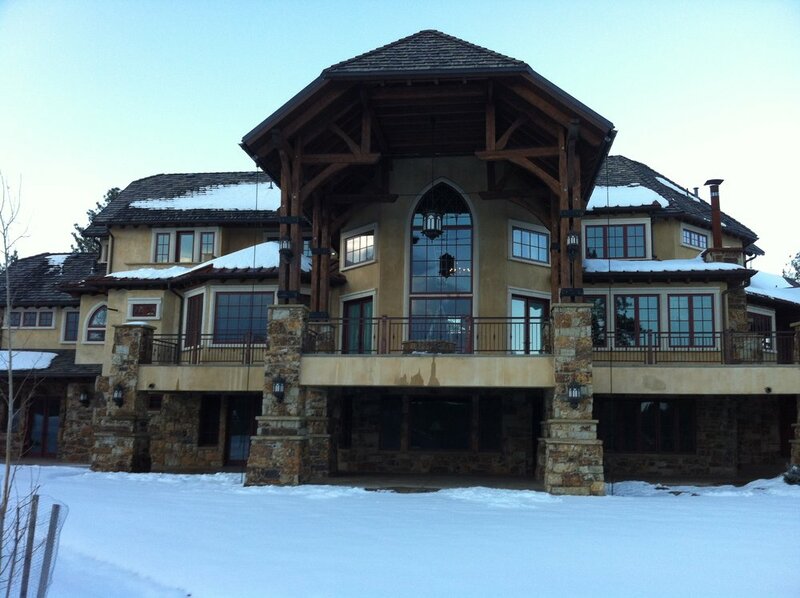 3M Prestige 50 applied to Larkspur, CO home. Interior view of 3M Prestige 60 applied to Morrison, CO home.